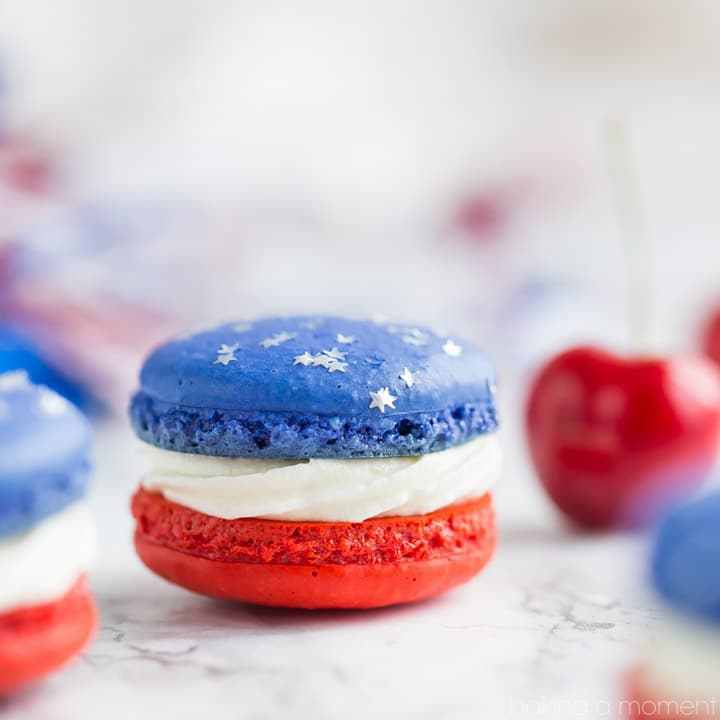 Because the best part of Memorial Day is finishing up the last bit of smoked meat on your plate and diving headfirst into the sweet, tasty cherry on the top of your Memorial Day cookout that is dessert. These sweets, from pie to pops, totally hit the spot. 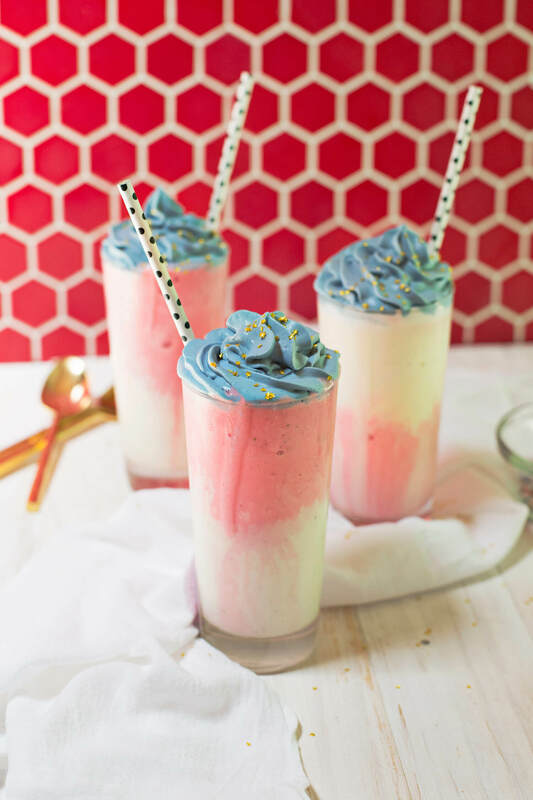 Here are a few of our favorite desserts, totally appropriate for the long Memorial Day weekend. 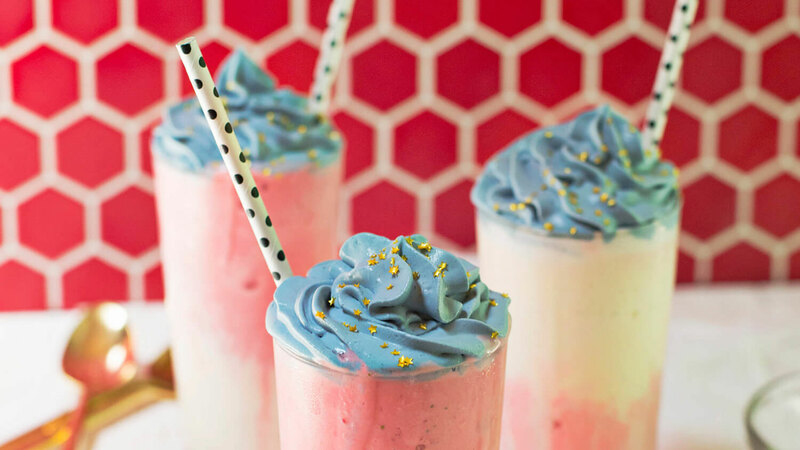 What's more American than a creamy, old-fashioned red, white and blue milkshake? 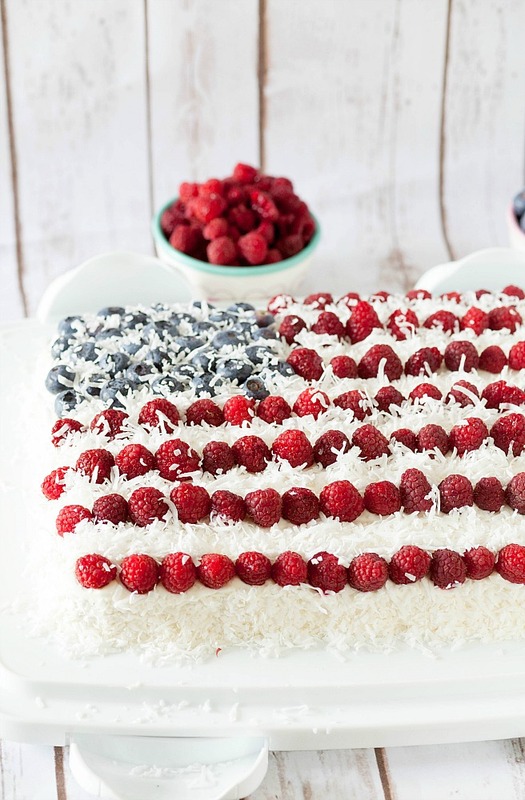 A healthier take on the classic flag cake, this dessert gets extra flair thanks to sweetened coconut flakes. 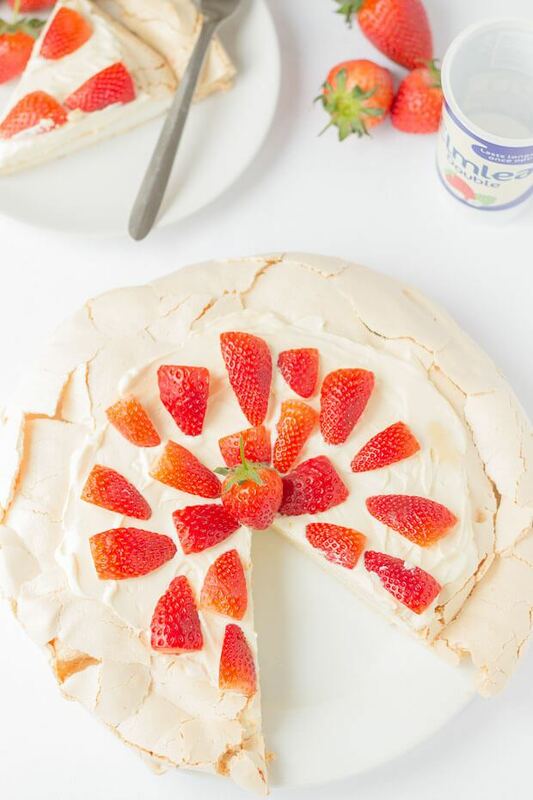 Impress your guests with this strawberry pavlova — they'll never guess it's an easy, four-ingredient recipe. 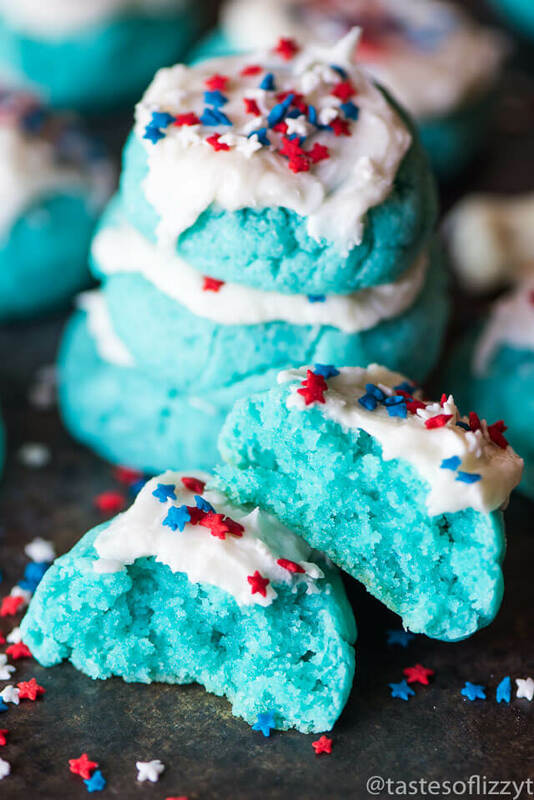 Bright blue cookies with white frosting and patriotic sprinkles will be gobbled up at your Memorial Day soiree. 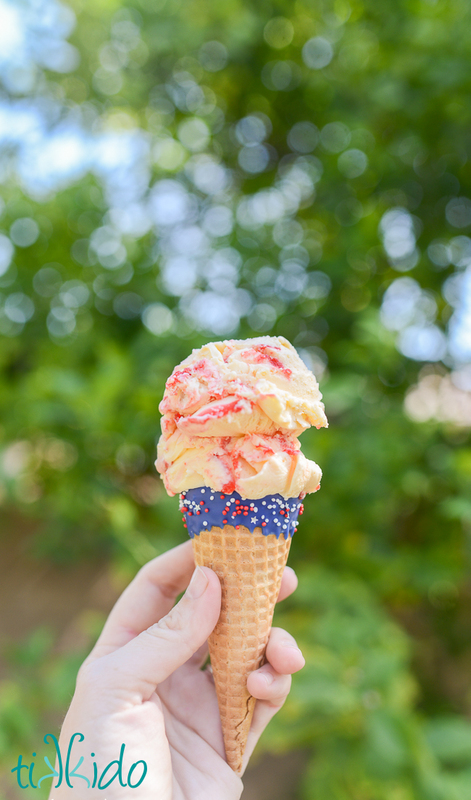 Even grocery store ice cream feels festive when served in these decorated patriotic ice cream cones. 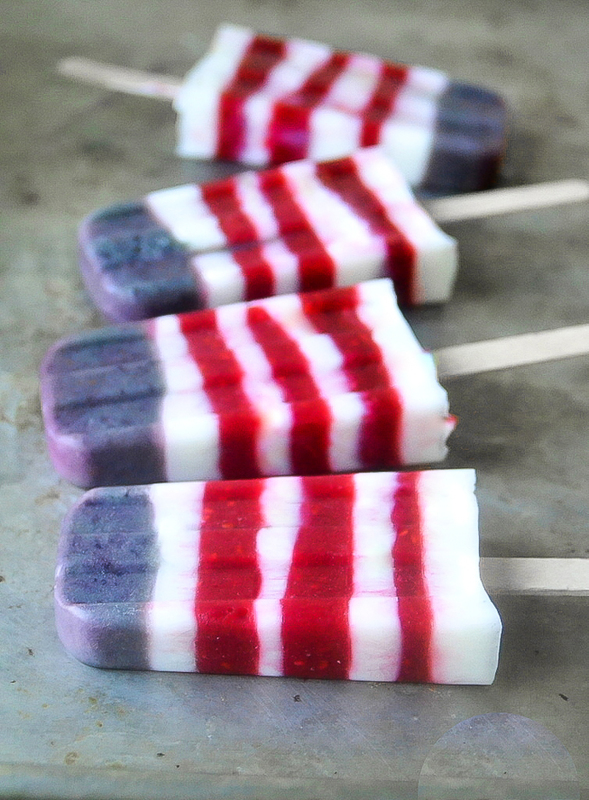 Cool down after a big meal with a healthy sweet treat, like these red, white and blueberry ice pops. These colorful macarons aren't just eye-catching — their cherry cheesecake flavor will wow you too. 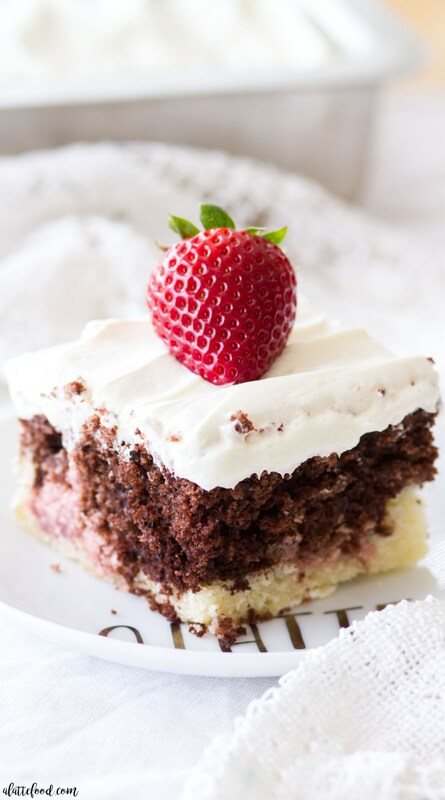 This summery Neapolitan cake has all your favorite flavors, but unlike ice cream, it won't melt on you. 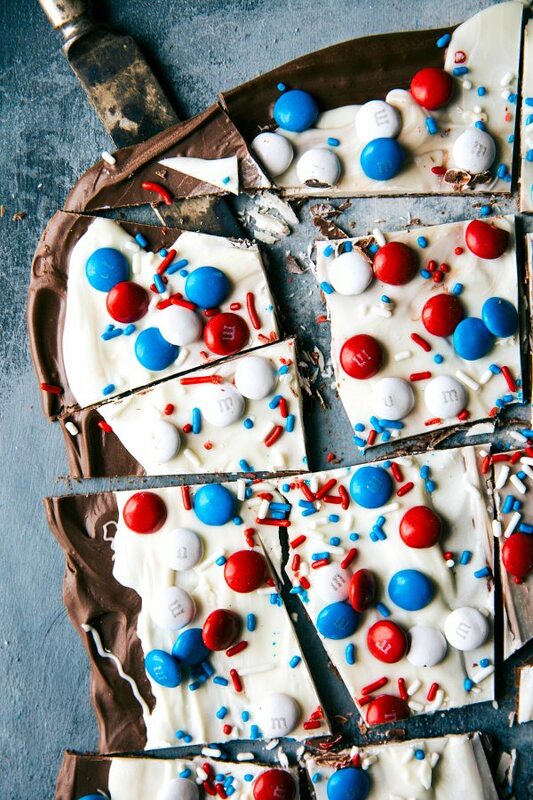 Put out a tin of this flag bark at the end of your meal so guests can satisfy their sweet tooth. 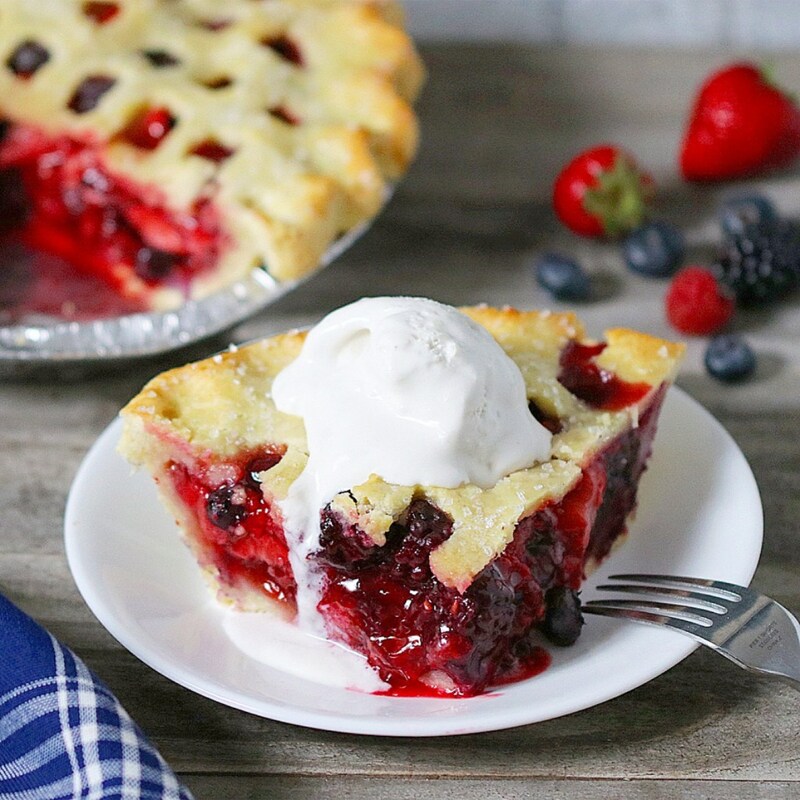 Satisfy your backyard barbecue guests with this gluten-free take on classic mixed-berry pie. 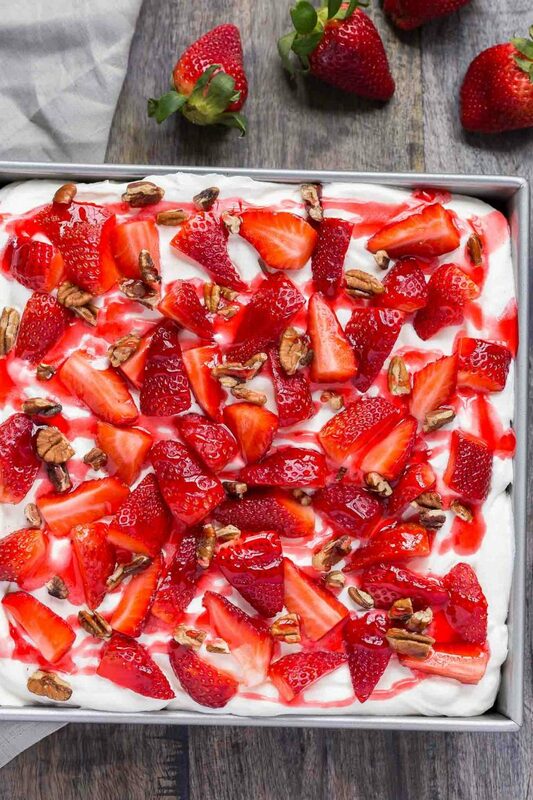 Creamy, cool and fruity, this strawberry icebox cake tastes like summer. 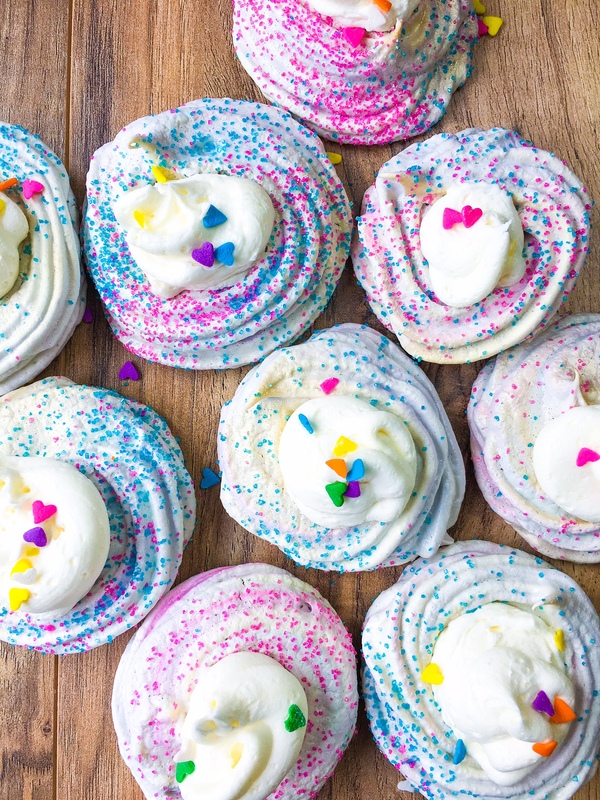 Like the colorful flowers finally blooming after a long winter, these cheery meringues will put a smile on your face. 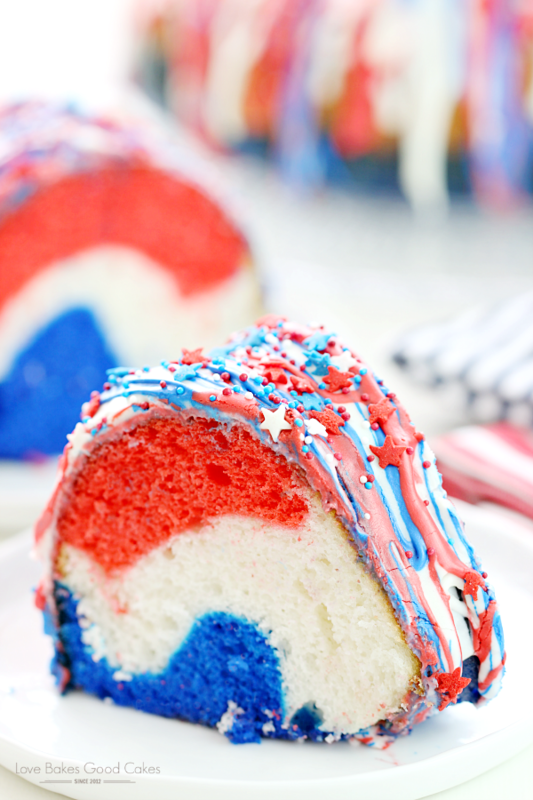 Red, white and blue fill this fluffy, moist Bundt cake glazed with patriotic icing and sprinkles. 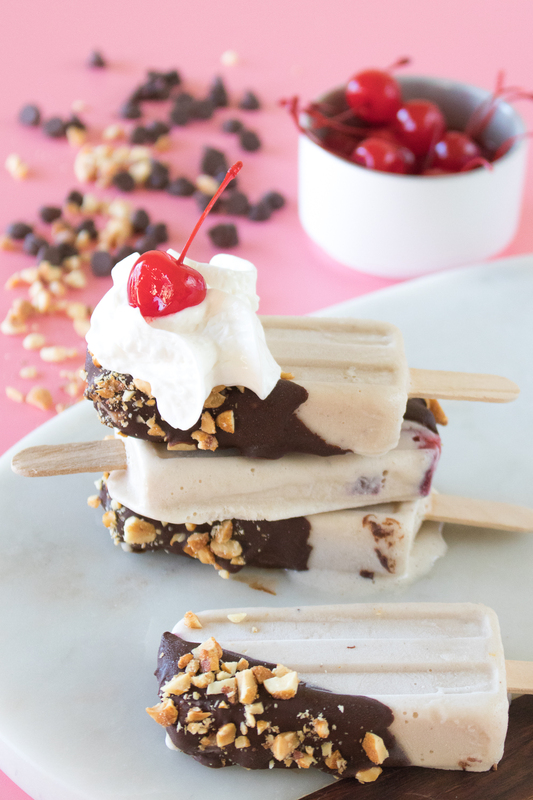 Capitalize on summer nostalgia with these crowd-pleasing banana split ice pops.